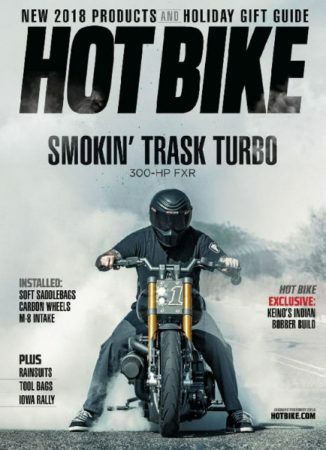 It was a year ago that “Baggers” magazine went away, folded into “Hot Bike” magazine by Bonnier Corp. Now, “Hot Bike” is gone as well, another victim of the waning print industry. 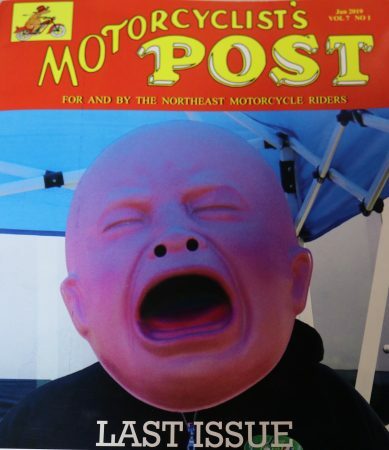 Gone, too, is the “Motorcyclist’s Post,” the long-running regional magazine that served the northeast. Its current issue is its last. Put out by Acom Publishing in Monson, MA for the past five years, “Motorcyclist’s Post” has its beginning in May 1967. Baer reported that refund checks for subscribers will go out over the next two months. “The Motorcyclist’s Post is up for sale. I know it won’t fly in print unless (sic) major publishing firm wants to run it,” Baer concluded. That’s unlikely, though, considering that major publishers are dropping titles and cutting back on the number of issues per year on magazines that still survive. “Hot Bike” is just the latest national mag to fold. “For years the ‘Hot Bike’ magazine has been spared the disruptive changes taking place in the publishing community with ad support from the motorcycle industry,” said Bonnier Motorcycle Group SVP, Andy Leisner, in a press release issued earlier this month. Sweden-owned Bonnier continues to publish “Cycle World,” “Motorcyclist” and “Motorcycle Cruiser” magazines as well as “Popular Science,” “Field & Stream” and “Yachting.” The “Hot Bike” brand will continue on social media, through special interest publications and through the “Hot Bike” tour. Cycle World is now a “coffee table” quarterly and Motorcycle Cruiser is an online publication. Bonnier has in effect killed them both, as well as damn near every other motorcyle magazine they aquired.